This lens is prescribed if the patient need correction for one field of vision, either for nearsightedness, farsightedness, or intermediate (computer). 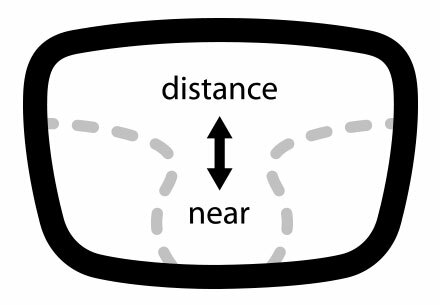 This lens offers nearsighted and farsighted vision correction in a single lens; The eyeglass lens is split into two sections separated by a visible line. 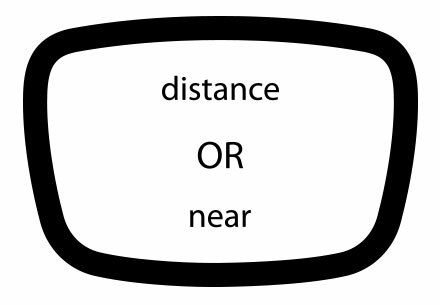 The upper part is for distance vision and the bottom part for near vision. Progressive lens is designed without the visible lines found in bifocal (and trifocal) lenses. It is a multi-purpose lens used to see at all distances with one pair of glasses: for near, intermediate and distance vision correction.